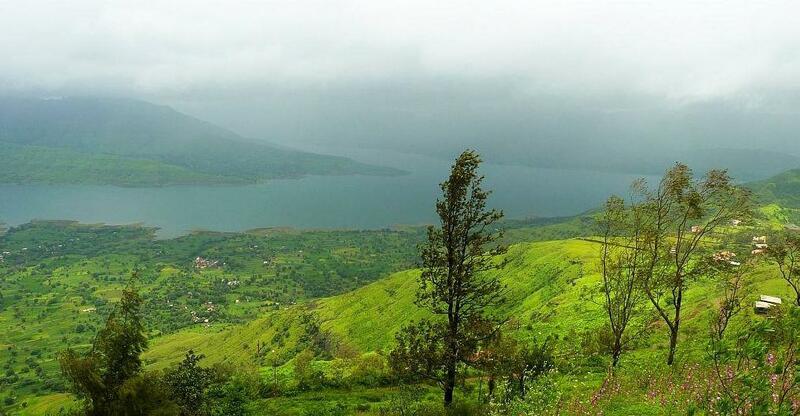 Mahabaleshwar is one of the most popular tourist spots in the state of Maharashtra. Here is the information on how to reach, season, best time to visit and places to visit in Mahabaleshwar, Maharashtra India. Mahabaleshwar is cuddled up among the Sahyadri mountain ranges and the scenic beauty of the place is the main attraction of the tourists. Earlier this beautiful city was considered as the summer capital of Mumbai and you can experience a deep impact of British architecture at this place. This hill station is the main preference of the nature lovers and the honey moon couples. Mahabaleshwar is located in the state of Maharashtra. There is no airport in Mahabaleshwar and the nearest airport is in Pune at the distance of 120 km from the destination. From Pune you can take taxi or bus to reach the place. Bus service is available to reach Mahabaleshwar from Mumbai and Pune. The distance between the Mumbai and Mahabaleshwar is 247 km and buses are available from Dadar East, Sion and Vashi. It takes around six hours to reach the destination. Wather is the nearest railway station at the distance of 60 km from Mahabaleshwar. You can also reach Pune by train and from there take a taxi or car to reach the destination. By road you can reach Mahabaleshwar within 4 to 5 hours. Going by Mumbai-Pune expressway and then the highway from Pune to satara is the better option to reach faster. The weather remains cool and refreshing throughout the year but during the summer season (March to June) weather remains very good to enjoy the place. Many visitors visit the place during this time to enjoy the pleasant atmosphere. The monsoon season starts from the mid of the June till the month of September. It rains very heavy in the place but this is the most preferred season for honeymoon couples as the place remains less crowded and peaceful. The winter season starts from the month of November. The winter remains pleasantly cold and you can enjoy this hill station during this time. 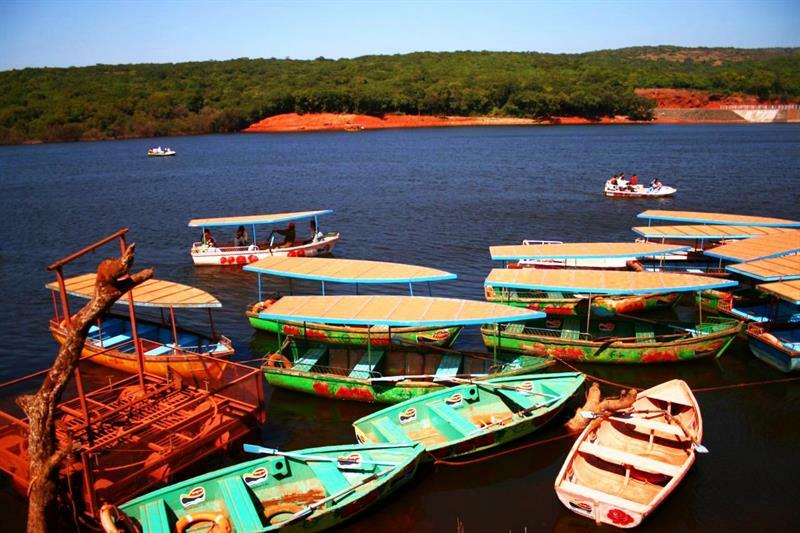 The months from October to May are known as tourist season for Mahabaleshwar. It is the famous tourist place in Mahableshwar. The lake is the wonderful place surrounded by greenery and trees. The facility of boat riding is available here till the late evening. Early in the morning or in the evening you can spend some time at the lake side to enjoy the pleasant atmosphere and fresh weather. Tourists love to participate in fishing activities and mini train rides are available for the kids. There is no entry fees for this spot but you have to pay rent for the boat rides. This is another famous tourist spot near to Mahabaleshwar. The place is mainly famous for the Strawberry plantation and annual strawberry festival is celebrated over here. Many items like Jams, marmalades, toppings, syrups and squashes made of strawberry are manufactured and sold here. Visitors can also enjoy fruits salads, strawberry milk shake and ice creams made from fresh strawberries from the garden. On this strawberry festival tourist can also enjoy the folk act of Shivkalin Dhol and Lezim. The festival is continued for 9 days and it is celebrated in the month of May. There is no entry fees charged for Marpo Garden. If you are a true nature lover then this is the best place for you. You need to walk through the forest to reach the falls. The Lingamala falls is the very good location for nature photography. Many visitors prefer the spot as the best for family picnic. The best time to visit the falls is from the month of July to December. During these months many tourists visit the place to enjoy the beauty of the falls. Here you can enjoy three beautiful waterfalls at the same place. 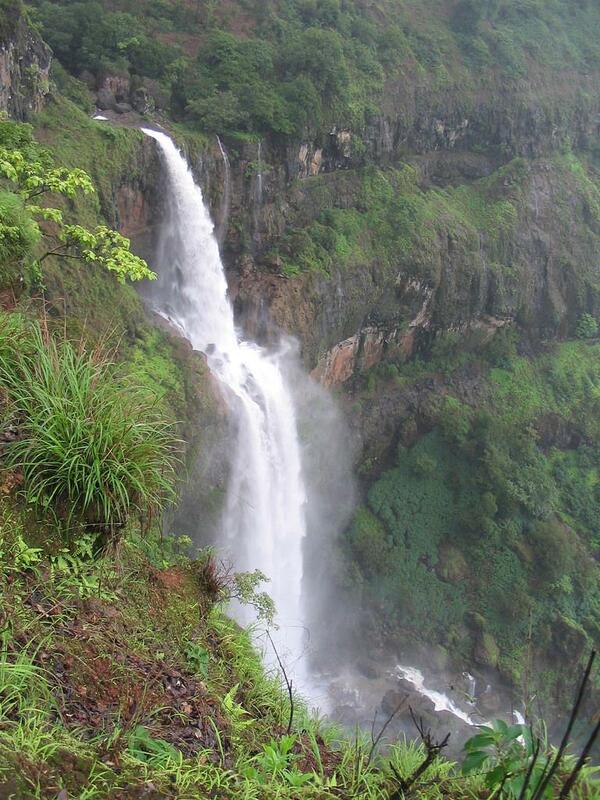 The Dhobi Waterfall and the Chinaman's waterfall is near to Lingamala waterfall only. You can visit the place every day between 9 am to 6 pm. You need to pay Rs. 20 as a entry fees here. The Elephant's head point is the part of mountain that look a lot like elephant's head. This is the reason, why the spot is known as Elephant's head point. The spot is also known as the Needle Point. The destination is a famous tourist spot and famous for the fresh and pleasant air, bright sunlight and surrounding scenic beauty. You can enjoy the energizing weather and a scenic view of the surrounding sahyadri range from the top of the place. You don't have to pay any entrance fees but you need to take lots of efforts while trekking. As the name suggests, the place is famous among Parsi community and they have suggested this name for the destination. This point is famous as you can get a beautiful view of Krishna river valley from here. Telescopes are made available for those who wish to take a closer view of Krishna valley. The destination is ideal for family picnic. Parsi point is also well known for the amazing view of sunrise and sunset from here. You can also enjoy the beautiful view of gleaming backwaters of Dhom dam too. You don't have to pay any entry fees to visit the destination. This is one of the best places in Mahabaleshwar for religious people. The place is situated at the north of the city. 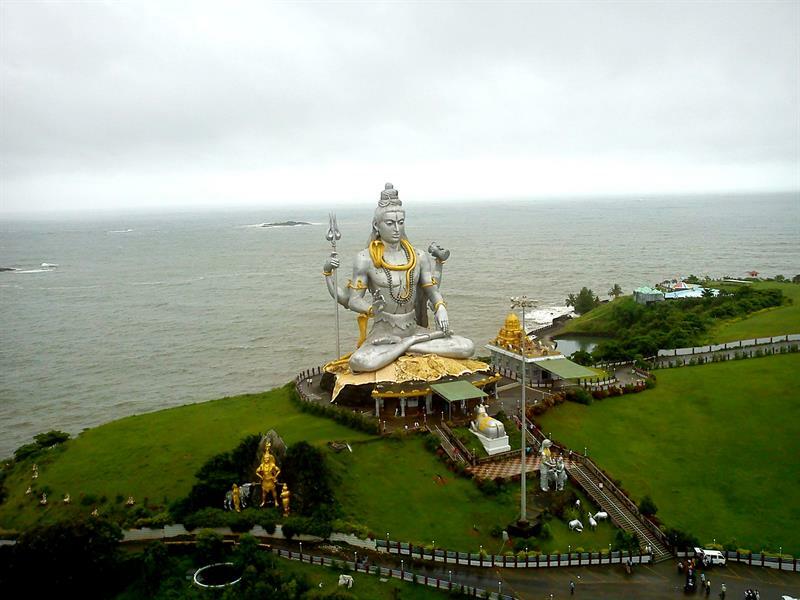 The place is famous for the temple of Lord Shiva and is also known as Shree Kshetra Mahabaleshwar. It is believed that the Swayambhu Shivalinga is located over here. It is the meeting point of five sacred rivers like Krishna, Koyna, Venna, Gayatri and Savitri. You can also visit Aati Baleshwar Temple and Panchganga Temple which are near to the place. You don't have to pay any entry fees to visit the temple. Lord Mahabaleshwar temple is one of the very old temples in India. The main deity of the temple is lord Shiva. The temple was built by Chanda Rao More dynasty in 16th Century. Thousands of pilgrims visit the temple to see the very enormous and heavenly Shivlinga and the holy pond. The meeting point of five holy rivers near the Lakshmibai temple is the major attraction of the place. You don't have to pay any entry fee for to visit the temple. Rajapuri caves are located at the distance of 10 km from the Mahabaleshwar town. The caves are surrounded by very huge Kunds. Lord Karthikeya temple is situated in one of the caves and Goddess Ghatlaj Devi temple is located in another cave. The remaining three caves have mythological values as it is believed that Pandavas took shelter in these caves during their Vanavasa. The place is also famous for the local fair which is celebrated during the harvest season. The place is famous for the visitors. Panchgani is very beautiful hill station very near to Mahabaleshwar. 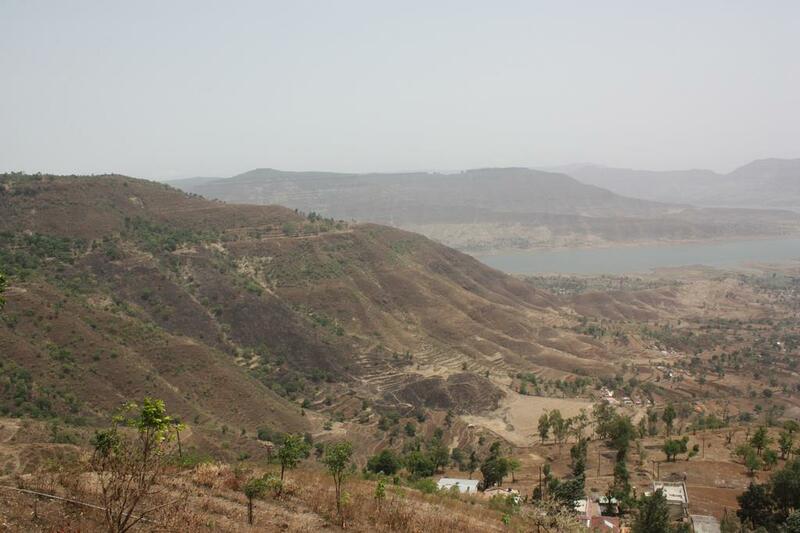 Panchgani is located among the fill hills of sahyadri mountain ranges and is famous for its scenic beauty. The river Krishna flows nearby and adds to the beauty of the destination. The place is famous for the pleasant weather and nature beauty. It is also known for the strawberry farms located over here. Mahabaleshwar is the best picnic spot, whenever one thinks of short vacation from Mumbai this is th best place that comes in mind. Thanks for sharing.